Pest Removal Is Very Much Needed. Pest Control Is The Way To Go. The importance of protecting food from insects and rodents is the sheer fact that almost 20% of world’s entire food goes to waste every year due to their getting infected by rodent attacks. And mind you, these are just the official statistics. The amount of food that becomes inedible due to pests is actually unquantifiable. The organic waste that they leave behind, such as feces, skin, wings also makes the food inedible. Pest control ensures that the food is protected so that we can deal with global food crisis in a much more effective manner. Insects love sticking to everything which accumulate all the dust and dirt of the house. These areas include the carpet, curtains, furniture, and the most obvious being clothes. Cockroaches, Bed Bugs, Silverfish, Moths, all tend to cling onto the aforementioned surfaces. Have a Pest control service in and worry no more about protecting that Arabic carpet or the beautiful drapes you just bought from Hometown. If you suffer from asthma, you would probably know what allergy triggers can do to an otherwise happy day. Insects such as cockroaches tend to affect an almost 7% of the entire population in the world. Also, the dead skin of the insects and their feces further pollute the surroundings, triggering severe allergies. Skin rashes and respiratory problems are some of the most common problems faced by people due to unwanted insects and pests. Pests can eat into your house and bring it to a collapse, quite literally. They usually feed upon wood and other material that is used in the construction of a house which adversely affects that dream house of yours. Termites cause a loss of billions of dollars annually in the U.S. by feeding on house wood, flooring and furnishing. Having a Pest removal service look into it, is the only way in which you can actually get rid of this problem. If you thought that the health issues from pests end only at allergies, then you could not be more wrong. Pest carry harmful bacteria with them which causes intestinal infection, diarrhoea, malaria, dengue and many more harmful and at times, even fatal diseases. 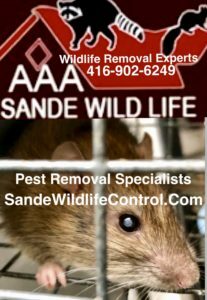 A Pest removal operation from a reputed firm has the capacity to protect you from the dread of these diseases.